Lancers had a lot to be thankful for this weekend! 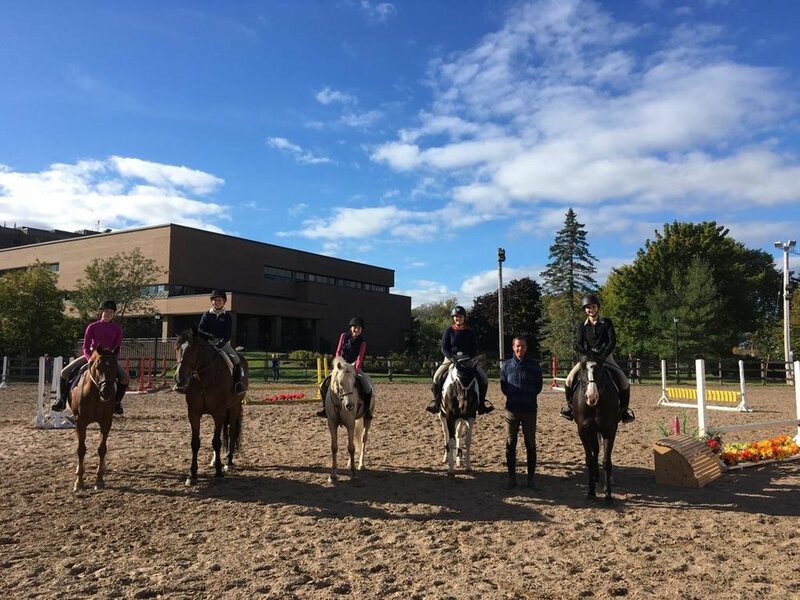 On top of being grateful for the wonderful horses, we are fortunate to have, Paul Halpern came for a Jumper Clinic and two junior riders compete in the National Pony Club Quiz in Ottawa! We were thrilled to welcome Paul Halpern back again and are so grateful that he gives back to the Lancer community in this way. All of our 29 participating riders learned a great deal and we are so fortunate to have high-quality clinicians come to Lancers throughout the year. Even some recent alumni came to visit! We are so proud of Gracie and Brenna for representing Lancers and Nova Scotia at the National Pony Club quiz! The Nova Scotia C Team placed 5th out of 13 and Gracie and Brenna were 2 riders of 12 representing Nova Scotia. The team placed 2nd in the games portion and Gracie placed 11th and Brenna 22nd out of over 50 competitors in the individual portions!